Cinco de Mayo is right around the corner, and it’s time to party! Celebrate this fun-filled holiday with a visit to these local restaurants. You can join in on the festivities while enjoying a delicious, unforgettable meal! Grab a bite to eat at Birdrock Taco Shack in Bradenton, FL. 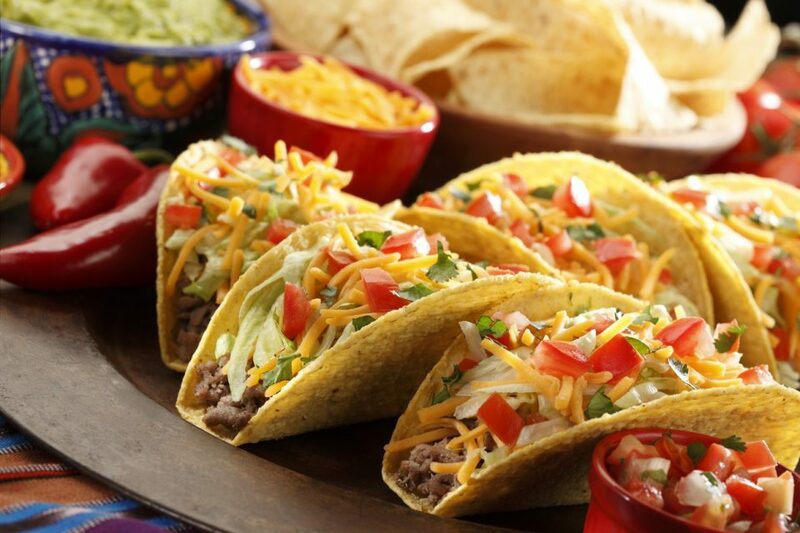 This hot spot offers tasty menu options, especially the flavorful tacos! Your mouth will water and crave more after the first bite. This restaurant is located on 10th street in Bradenton’s Village of The Arts – which is definitely fitting, since their meals are each a work of art. Local Collard Greens, Rice & Bean Taco, Chicken Picadillo Taco, Eggplant Taco, Mahi-Mahi Taco, Beef Short Rib Taco, Ahi Tuna Taco, Cold Water Lobster Taco, “California Roll” Taco, and Thai Shrimp Burrito. Your are sure to be satisfied with the exceptional options that Birdrock Taco Shack has to offer. Gather your friends and stop by for a visit, today! Visit this family owned and operated establishment for Mexican street-styled cooking. Their menu resembles options that you’d find along the San Francisco Mission District. Enjoy unique, flavorful options layered with fresh ingredients and made with passion and skill. With a mission to redefine the fast casual food experience, exceed expectations, and offer a dining experience like no other, youare sure to be satisfied. Classic Tacos, Poppo’s Tacos, Vegetarian Burritos, Black Bean Quesadilla, No Protein Quesadilla, and so much more! This family-owned restaurant has been making waves in the area since 2004, and it’s for good reason. Their menu options are amazing! Fresh, flavorful cuisine is only a short drive away. Whether you’re in the mood for a classic Mexican dish or something new, there’s an option available for you. Visit Poblanos Mexican Grill & Bar for a Cinco de Mayo dining experience that you won’t soon forget. Enchilada, Tamal, Street Tacos, Fish Tacos, Bacon & Shrimp Tacos, Grilled Chicken Burrito, Yolandas, Chimichangas, Grilled Steak Fajitas, and so much more. Now that you know where to go for your Cinco de Mayo celebration, all that you need is a high-quality vehicle to get you there. Come and see the professionals here at Hendrick Honda Bradenton and discover the car, truck, or SUV that you’ve always wanted. We look forward to assisting you in your search for the perfect vehicle!